Meet Na’kyla Bosworth. 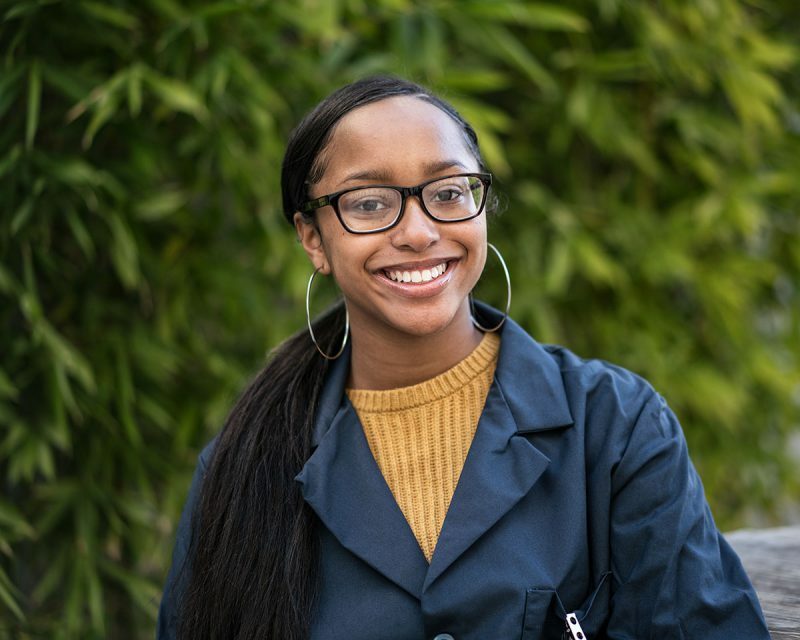 Na’kyla attends Oakland Tech High School in Oakland and is a student in Alameda Health System’s (AHS) HealthPATH program. HealthPATH is a workforce development initiative of AHS that prepares youth and young adults for healthcare careers. “I am a strong voice, speaking out and not sugar-coating things. I have a lot of family that have been murdered in Oakland, and even though I love Oakland, it has a downfall. I want to help my community and other families not go through what I have been through. When I am at Highland Hospital, I think, “This is where they were, this might be the room where they died.” Though I am 14 years old, I interned through HEAL in the emergency room and knew that becoming an emergency nurse is the job for me. This hospital has a connection for me. Working in the ER opens your eyes and you see what people go through that you may never have have heard or thought about. The ER nurses are smart, diligent, hard workers who put their hearts into the job and care about every single patient who walks through the door. This hospital is a loving, family-oriented hospital and a really good hospital for everyone. To learn more about Na’kyla and other HealthPATH students visit the Oakland Youth Story Bank Website.